“Present estimates of “middle class” in China range from 100 million to 247 million… Estimates of the size and growth rate of China’s middle class vary. 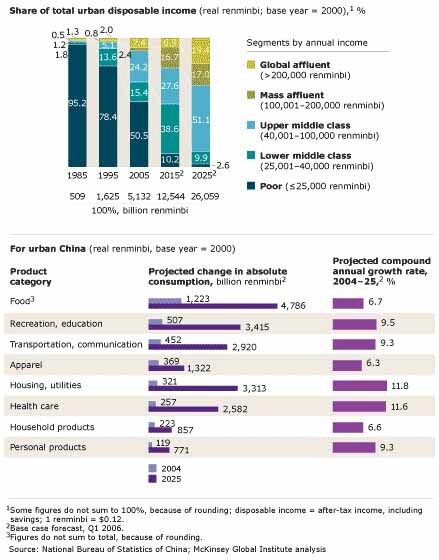 Roughly half of China’s projected urban population will be middle class in 2025. This entry was posted on Tuesday, April 20th, 2010 at 12:00 and is filed under China, Chinese Culture, Chinese middle class, economy. You can follow any responses to this entry through the RSS 2.0 feed. You can leave a response, or trackback from your own site. Great topic. Would you consider writing a guest post about it?